The reasons behind a patient contracting a nerve disorders are myriad; from genetics to something not as complex—like stress. The disorders in feet are often overlooked—but shouldn’t be—as these conditions if serious enough, can immobilize a patient. The most common nerve disorders in feet are similar in nature to their well-known counterpart, Carpal Tunnel Syndrome, they are; Interdigitial Neuroma and Tarsal Tunnel Syndrome. The latter syndrome, is less common than the former, but is very similar to Carpal Tunnel. 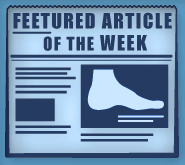 Compression of the nerves, often seen in those with excessive pronation (whether by flatfeet or valgus heel positions), can cause patients to report a wide variety of symptoms. Moderate to severe pains in the ankle, starting along the bottom of the foot and ranging up into the calf, are fairly typical—though it is not unheard of in severe cases to experience partial numbness or atrophy of the foot and muscle surrounding it. If the facility treating the patient, and the doctors themselves, believe that the patient has Tarsal Tunnel Syndrome, they test using an EMG to provide positive diagnosis. If positive, MRI’s identify the level of pinching in the nerves. Treatment follows with NSAIDS, functional orthotics, and mandated rest of the affected feet. If the situation is rather more serious, surgery may be required. Those with Interdigitial Neuroma have a somewhat different condition. I.N. is characterized by a inflammation in the frontal area of the foot, the nerves that control toe sensitivity. It is very rare that the inflammation is present in any other area besides the second or third interspace—and should it spread past that, the digits should be checked against other disorders. Frequent reported symptoms of I.N. include; chronic burning and tingling sensations between toes (which may or may not spread to the actual toes themselves). The symptoms are elevated by high-impact activities such as walking, running, or shoes that induce compression (i.e. heels or toe shoes). Consult a doctor if pain becomes chronic or you experience worsening symptoms. In these case, radiographs, MRI’s, and even bone scans are used to determine the presence of the condition in the affected areas and are generally typical for an examination. In the case of bone scans, they are only required if bone degeneration is suspected. Surgery, in other cases, is infrequently required in the alleviation of symptoms and is only recommended for those who suffer consistent symptoms for a period longer than six months. Reporting symptoms becomes crucial in these cases. Generally, orthotics is the go-to measure for alleviating pressure and stress from consistent weight on toes.